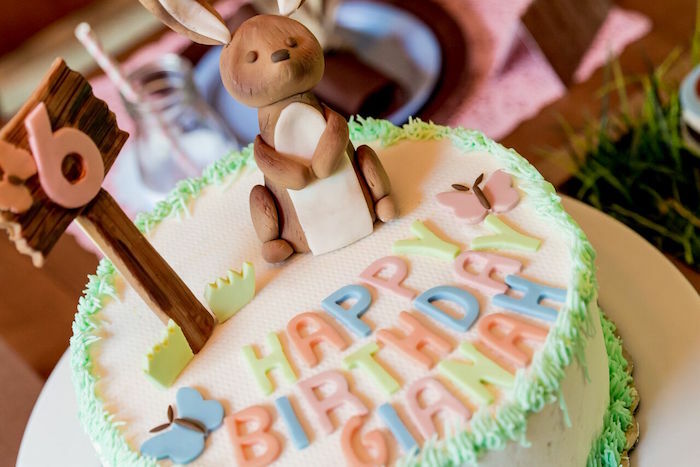 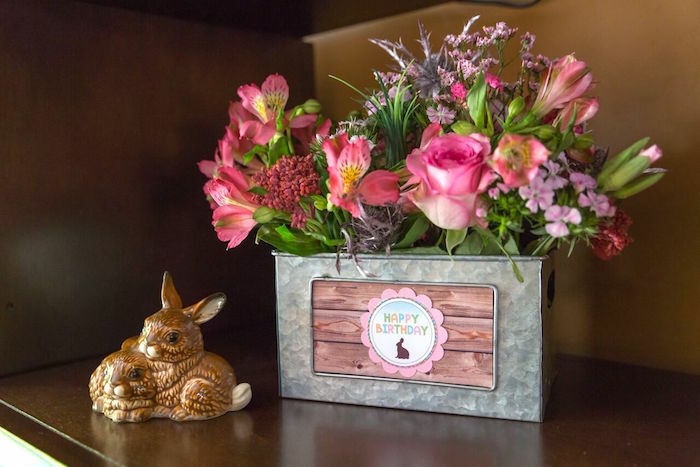 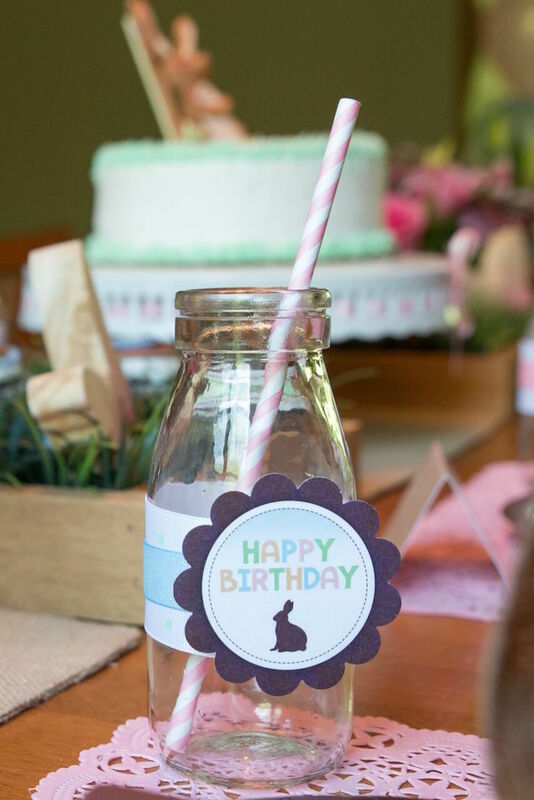 Looking to plan a cute spring-time birthday party? 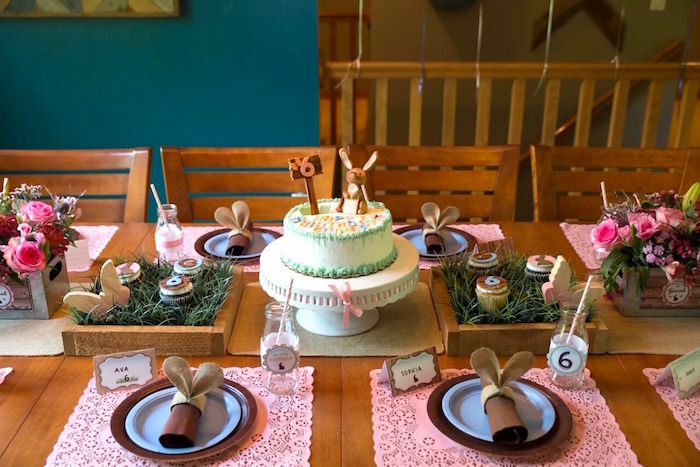 Hop on over and check out this Bunny and Butterfly Birthday Party by Heather Nawolski out of Green Bay, WI USA! 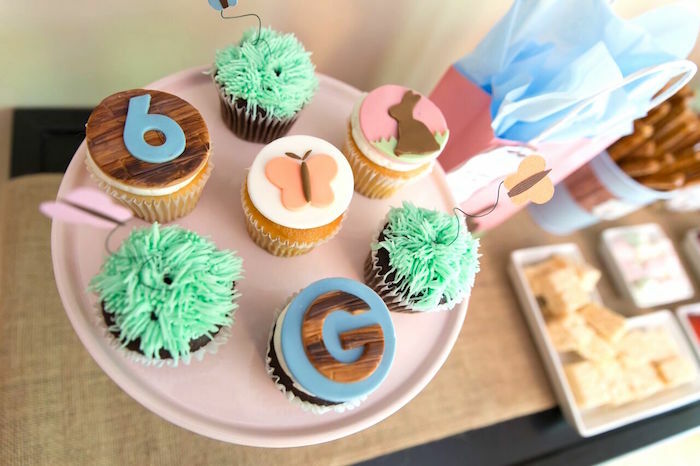 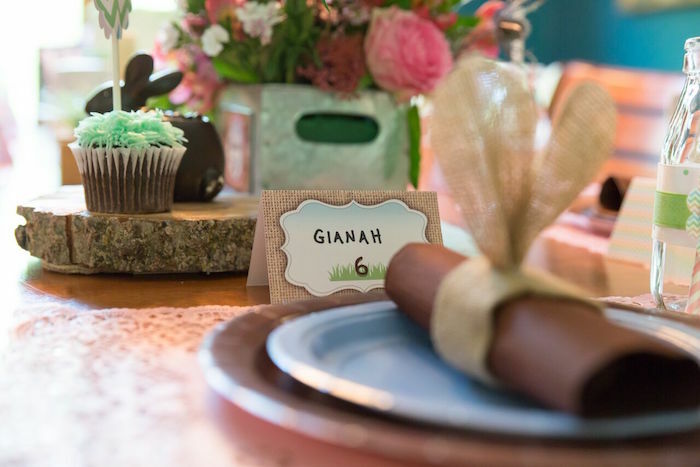 From the custom bunny decor and sweets, to the fun prints + party signage, this darling occasion is full of sweet spring inspiration! 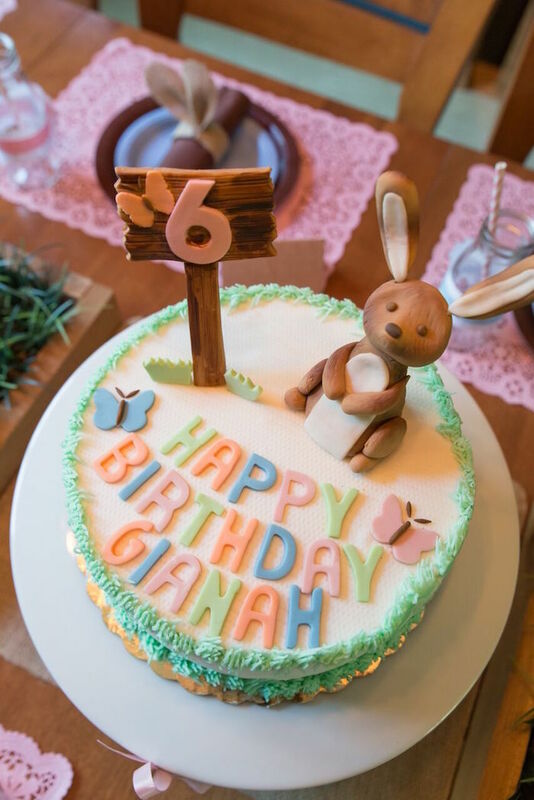 This is what Heather shared about the party- “As Gianah was approaching her 6th birthday, I asked her what she wanted at her party. 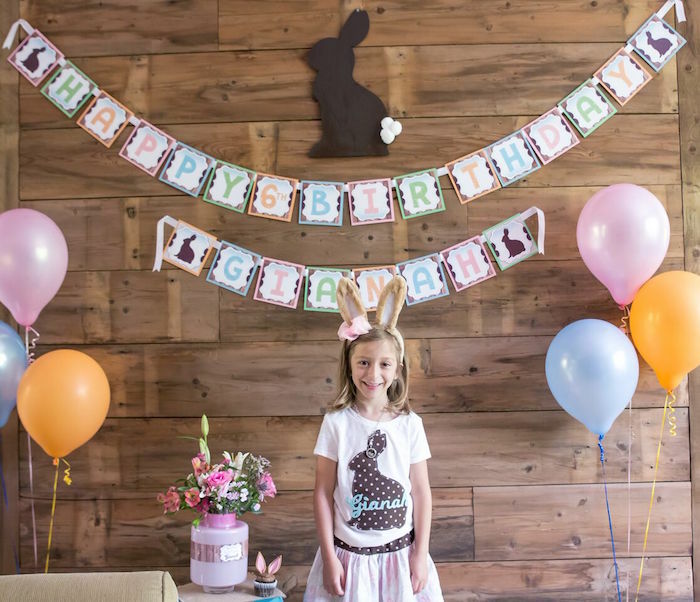 She asked for three things: Bunnies, butterflies and chocolate! 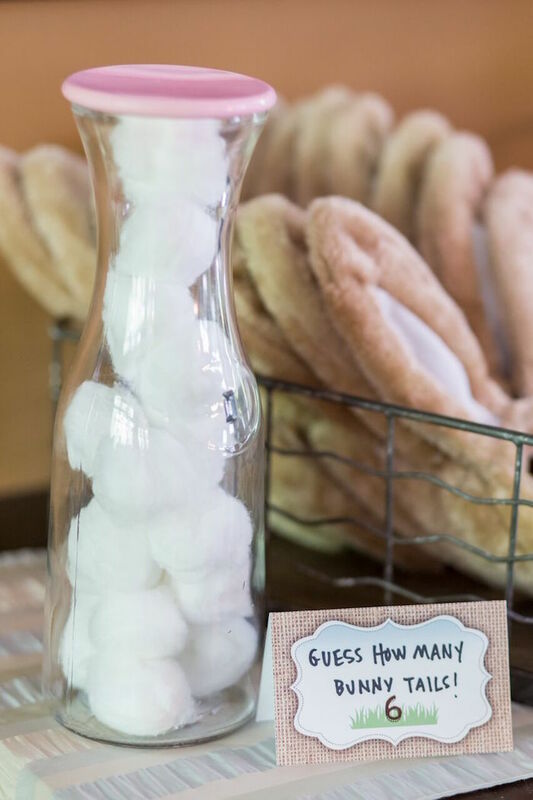 We decided to fully embrace these items and well, the rest is history! 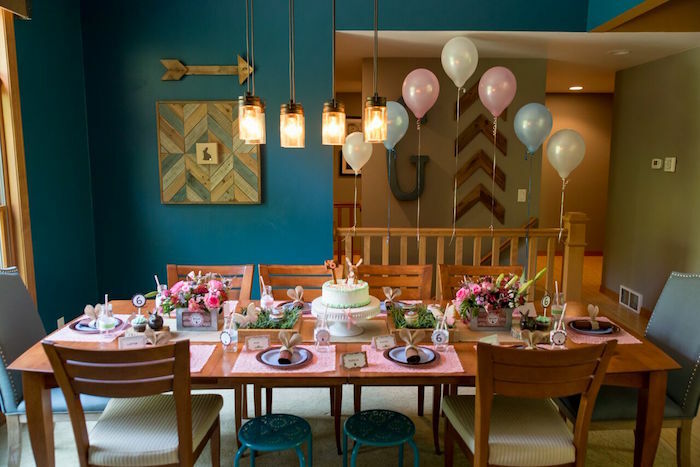 I set out to create a rustic and girly vibe to the party due to the recent installation of a reclaimed barn board wall in our living room. 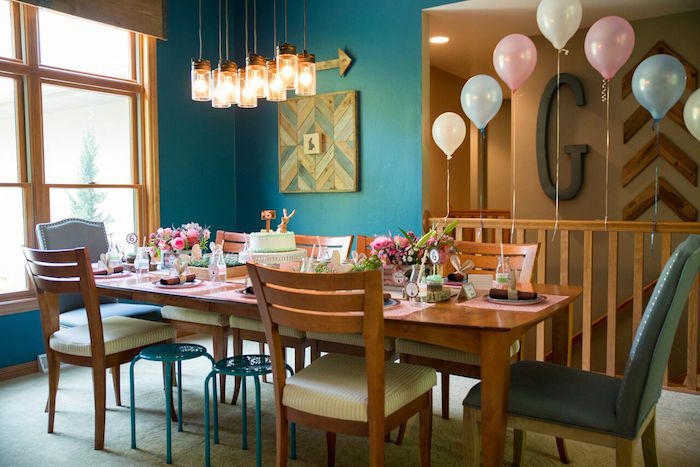 It served as the perfect backdrop for our party banner. 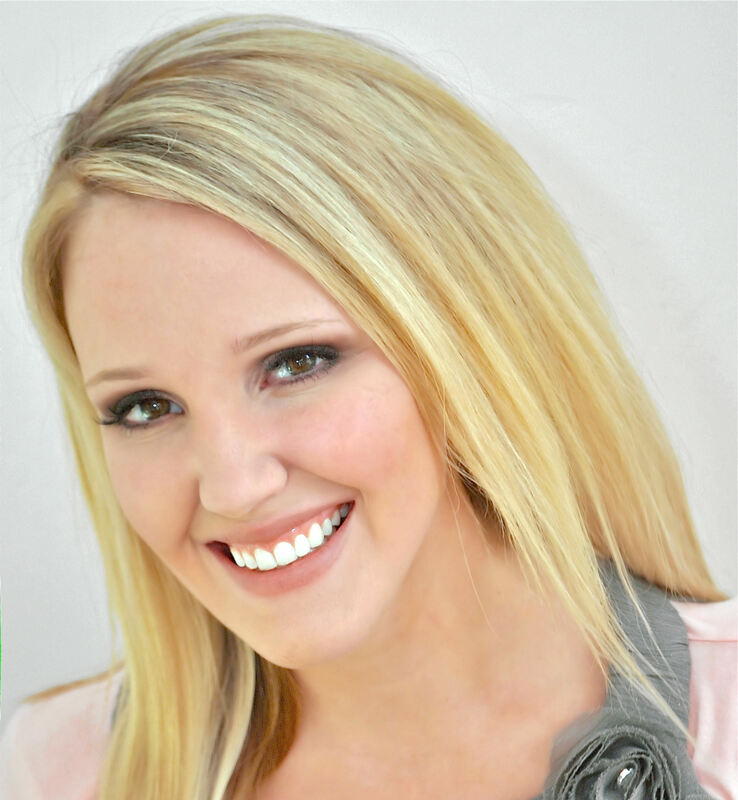 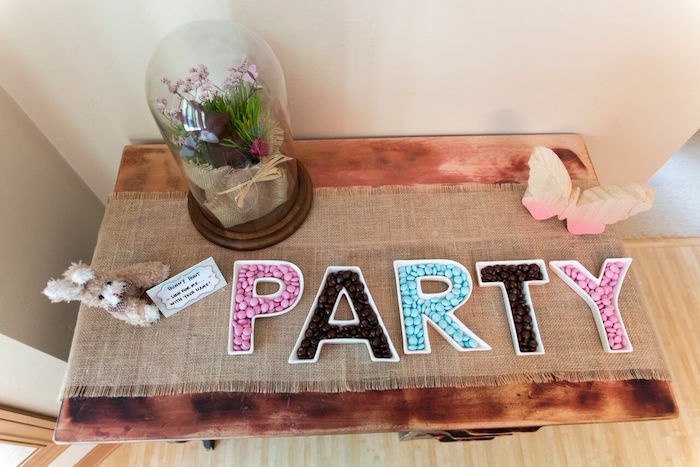 Natalie at I’d Rather Doodle created the most beautiful party items . 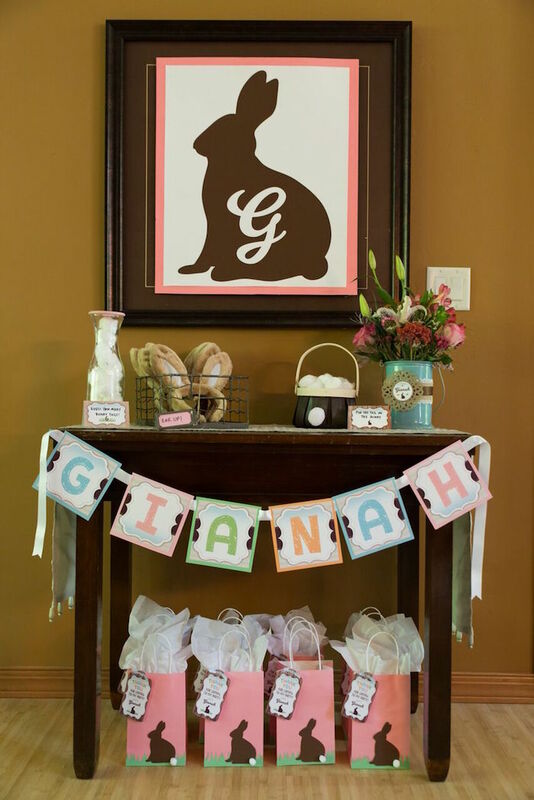 From the banner, to the Pin the Tail on the Bunny silhouette, everything was so beautifully created and worked with our theme. 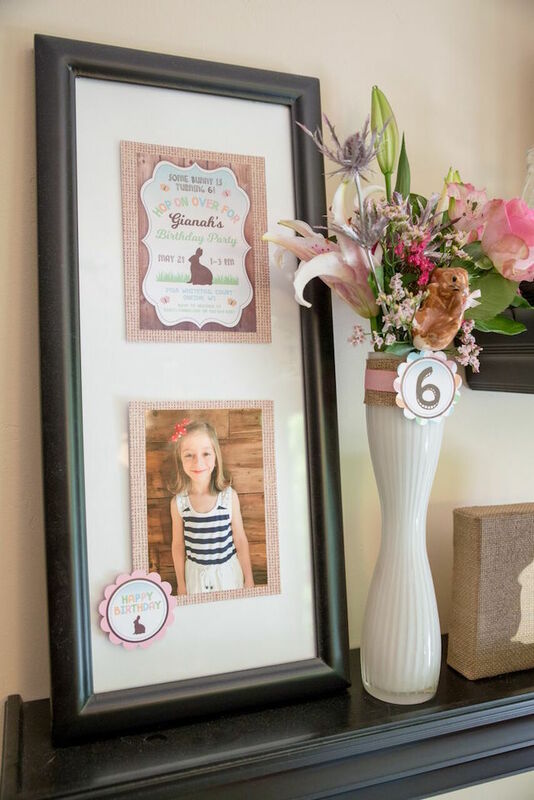 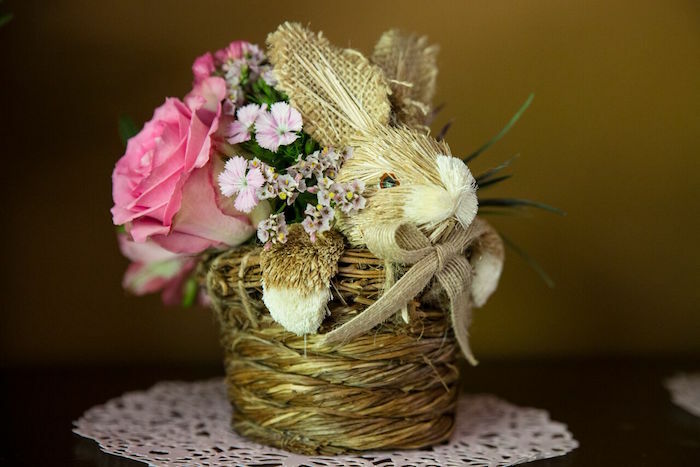 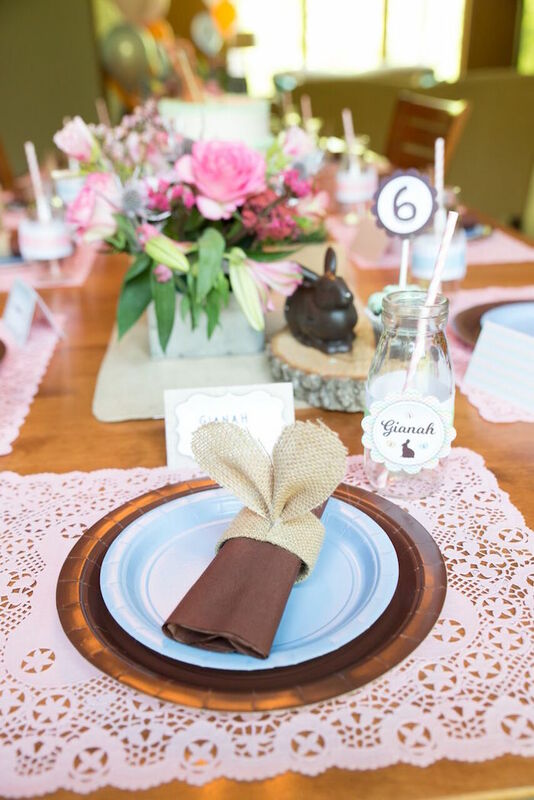 My favorite elements of this party include the paper doily placemats and the cotton ball tails I used everywhere (milk bottles, party favor bags, on a wooden bunny silhouette and on burlap canvases). 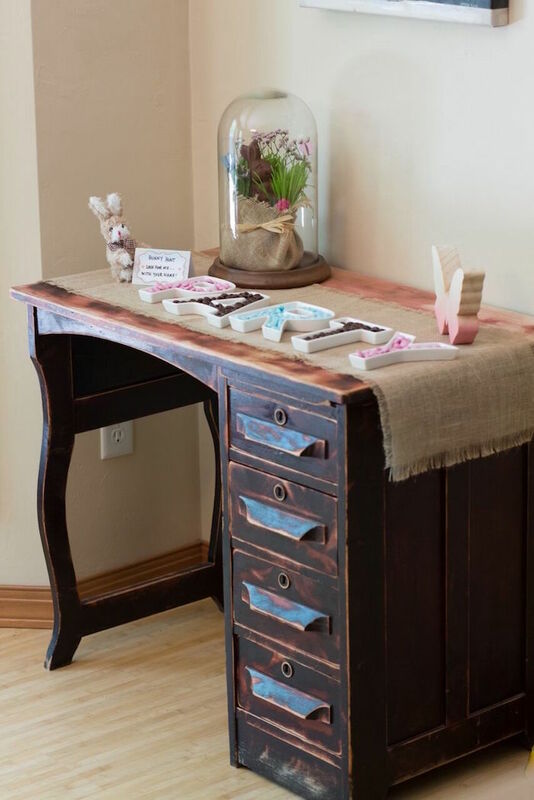 I loved the additional dimension it gave for such a small investment. 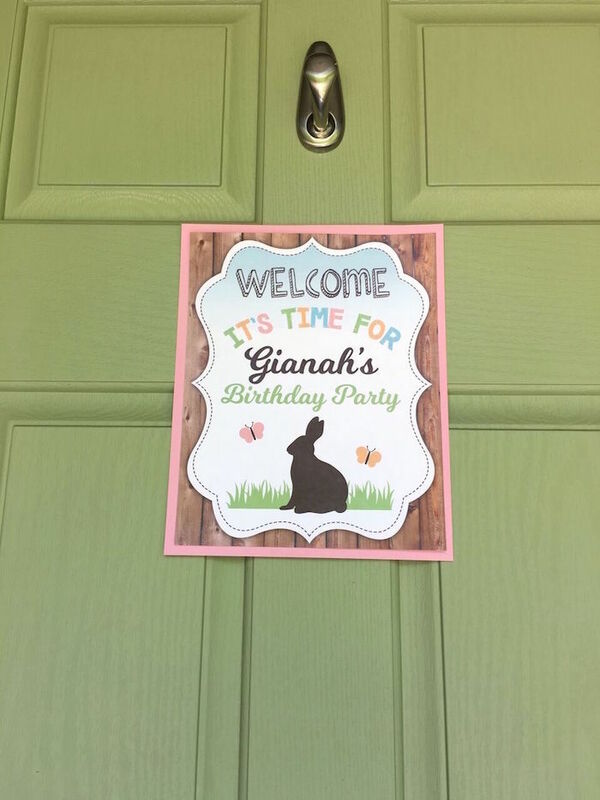 Gianah’s party was in May and I scoured Target and all other stores for Easter clearance items. 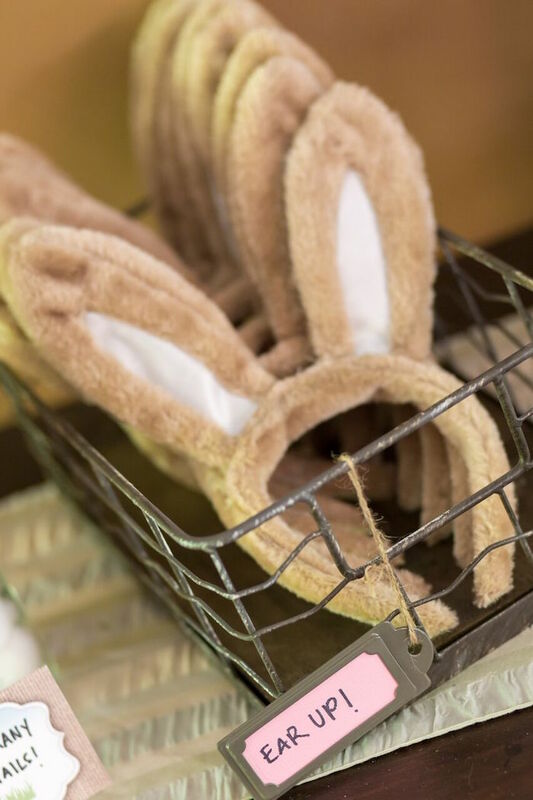 I secured the bunny ears very early and I was glad I did because they ran out quickly. 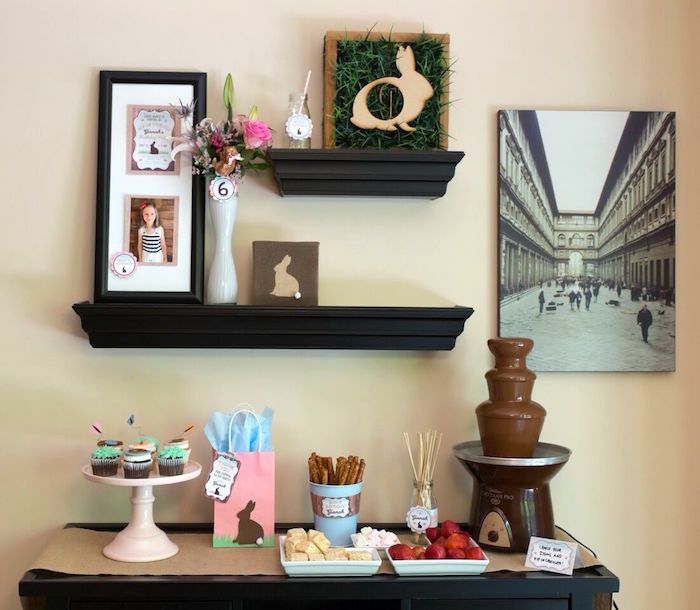 I took white ceramic bunnies and sprayed them brown. 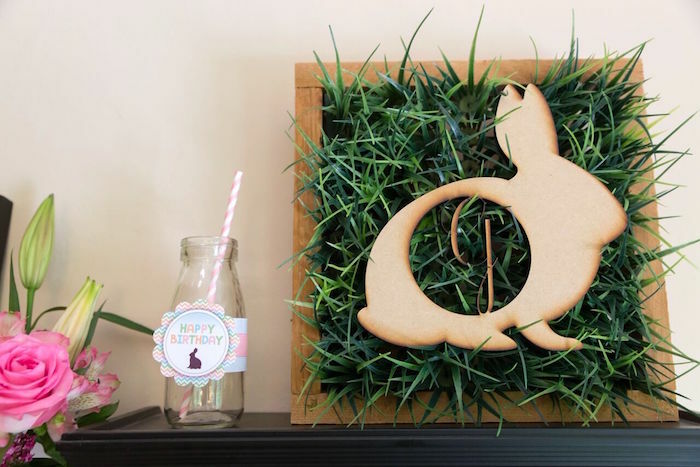 I used cat grass in a variety of arrangements with paper butterflies I cut out of card stock and adhered to floral wire to give an airy feel to the space. 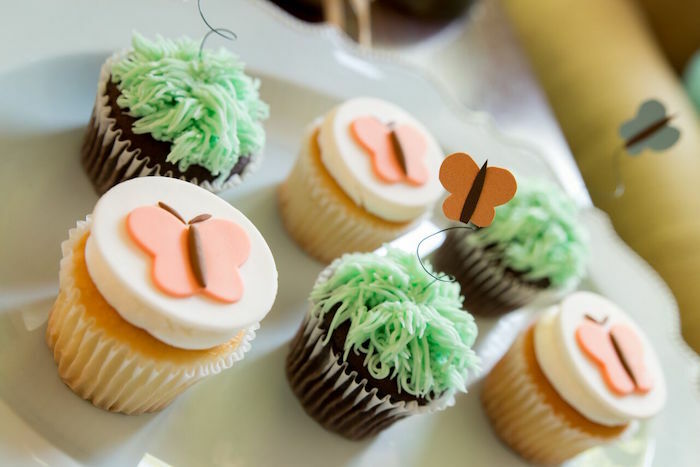 Sugar and Stripes nailed the fondant on our cakes and cupcakes. 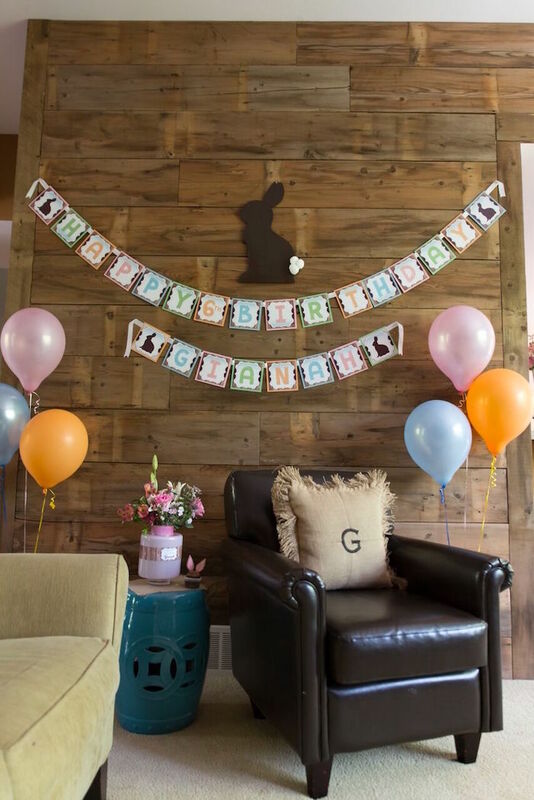 They replicated the barn board feel and made the most adorable bunny Gianah had ever seen. 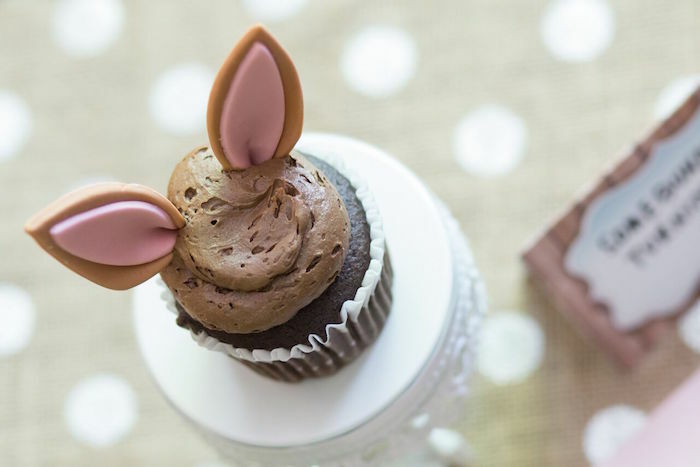 The kids LOVED the fondant bunny ears they made and I all I had to do was put them on the cupcakes. 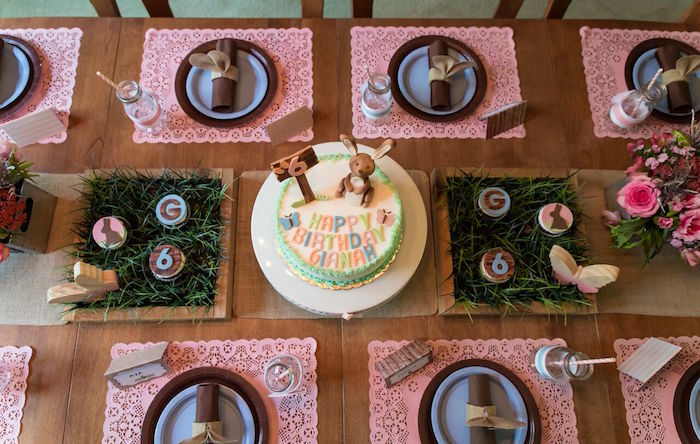 I had our local grocery store make “grass” frosting on our cake as an added detail and it was a real showstopper! 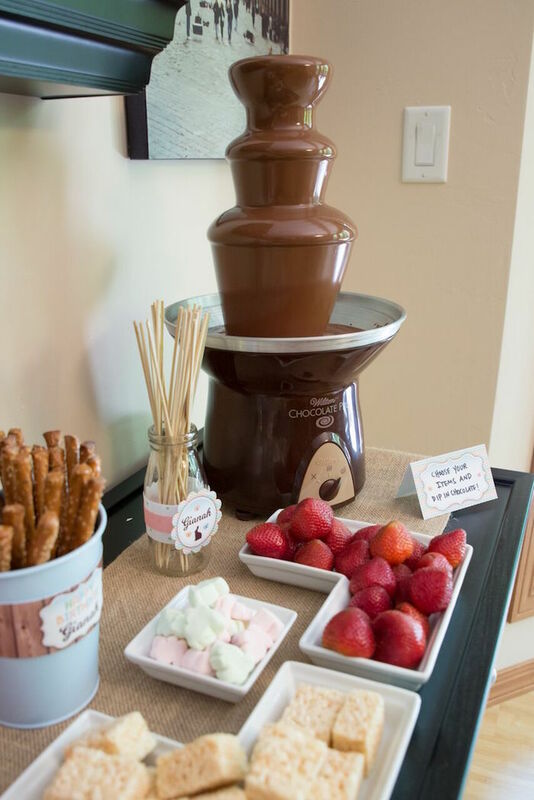 The highlight of this party though, was the Wilton chocolate fountain I bought on Amazon. 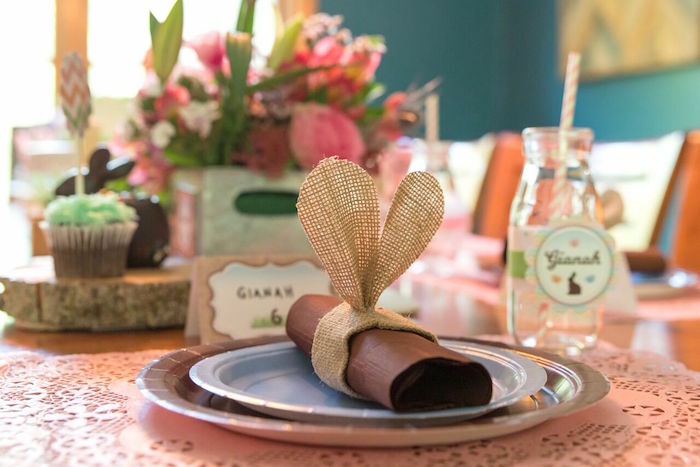 When guests entered, it smelled like chocolate heaven… and it’s the first thing they commented on! 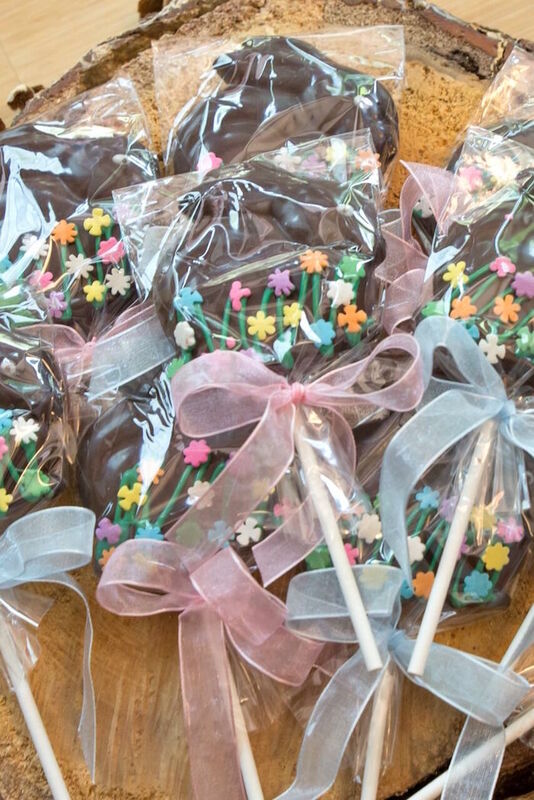 The kids loved choosing their own items and dipping it in the chocolate. 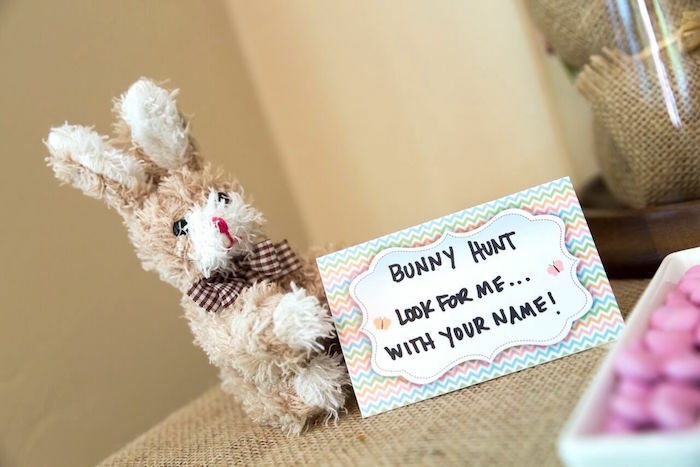 We also had small stuffed bunnies purchased from Oriental Trading Company hidden outdoors for our Bunny Hunt. 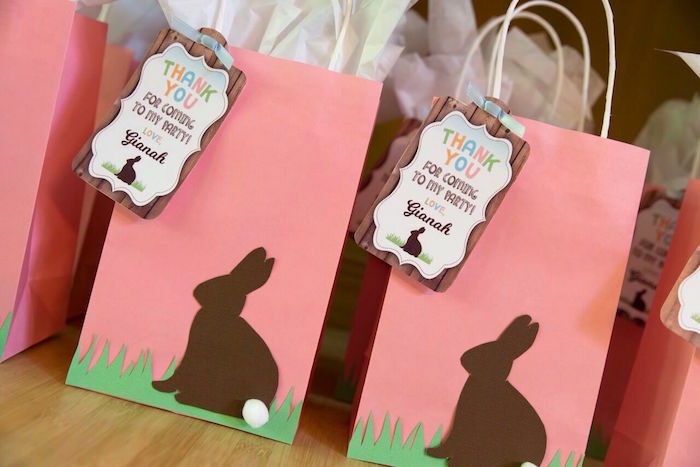 Each child had to search for their own bunny throughout the yard. 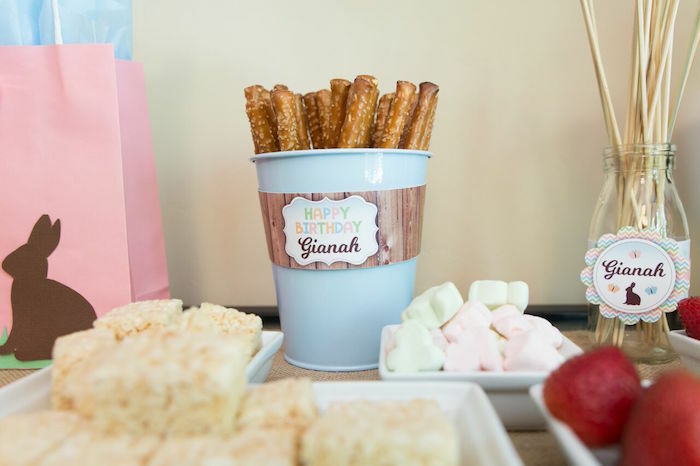 Their little brown gingham ribbons were perfect with our party palette. 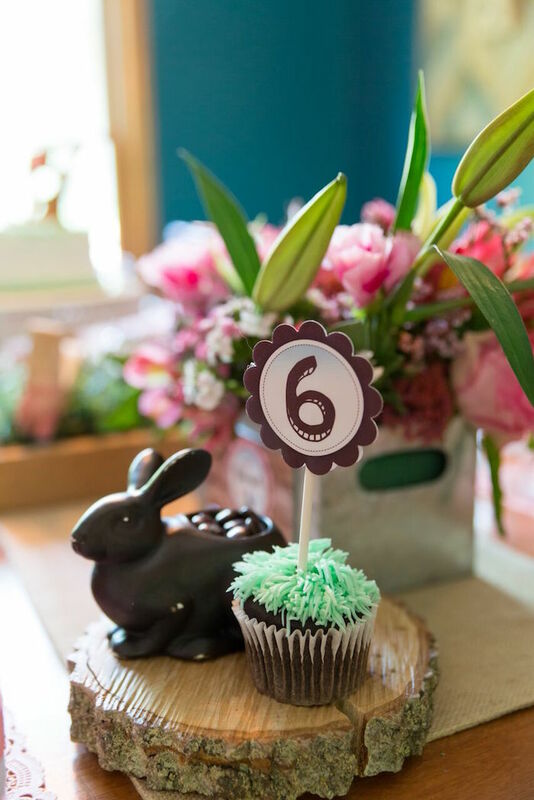 Our “Guess How Many Bunny Tails” winner won a prize and our guests all loved their chocolate bunny pops. 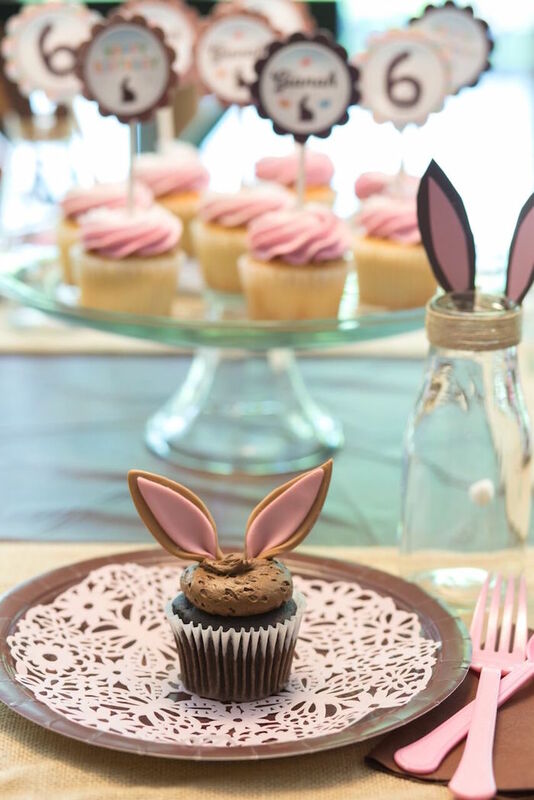 I adored the fact that everyone (boys and girls) wore their bunny ears. 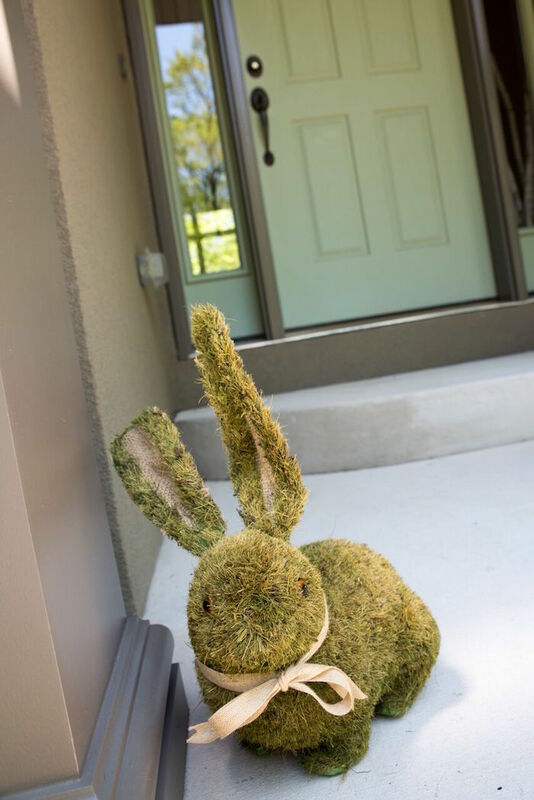 And then we had the real thing… live bunnies borrowed from our back yard neighbors. 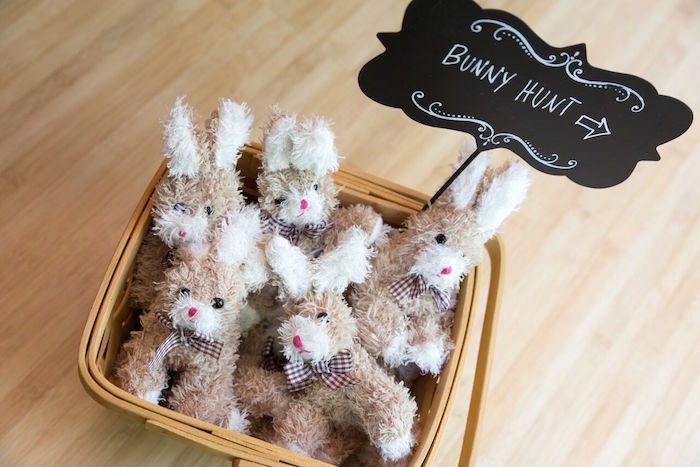 The kids loved holding and gently petting them before they were returned to their home. 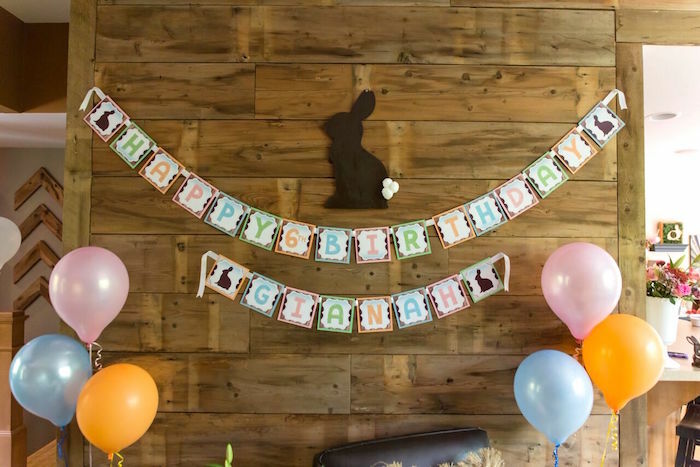 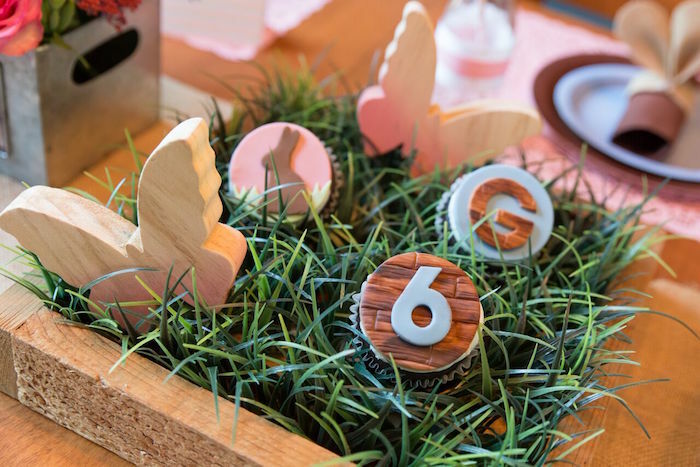 Check out this A Very Bunny 1st Birthday Party and this Beautiful Butterfly Birthday Party !